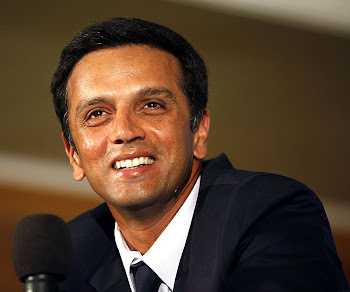 Rahul Dravid: One of the best interviews of Rahul Dravid : tells you what this man is all about! That’s been a bit of a challenge for me, to be honest, in terms of the long gaps that I’ve had between matches. But I’ve learnt to manage that better. Initially when I was not playing one day cricket and I had these gaps maybe I didn’t manage it as well as I could have. If it’s a long gap you wonder whether you should keep up batting practice or go for more fitness training. It does help if you have some first class games and a few games to get ready and prepared. This time leading into the tour of the West Indies — I saw this as a twin-series tour — we’d had the IPL, so I played the IPL where I hit a lot of balls. After the IPL it was a question of keeping myself physically fit so I spent a bit of time at the NCA. More than that it was important to be refreshed in the mind, go to the West Indies and England both physically and mentally fresh. I had to hit enough balls. I hit a lot of balls in the IPL, I practised a lot in the IPL even though it’s a different format of the game. Still hitting balls you know, I had that rhythm. The tour of the West Indies definitely helped. I played well there and came to England with a lot of confidence. England’s been a happy hunting ground for you right from 1996, your debut. Everyone talks of how you have adjusted to the conditions so well here while others have struggled. Did you do a lot of visualisation or adopt some special mental technique? I have a lot of pleasant memories with touring England. I made my debut here, had a good series then and had a very good 1999 World Cup, so my early memories of touring and playing here have been good ones. And that definitely does help, it gives you that confidence that you have played well on those wickets in those conditions you have scored runs. I don’t think I made a special effort. But I enjoy coming here. I enjoy the country as well, I love London the city, I love walking around. I just love the fact that Test cricket especially is so well supported here. I enjoy playing Test cricket here because I know you’re always going to be playing in front of an appreciative crowd which in itself is a fantastic thing for a performer. Touch wood, all my tours here have been good. Definitely. No doubt I know I’m closer to the end than to the beginning. I understand it fully. I didn’t set targets in terms of the runs that I want to score but obviously I wanted to have a good tour. But you can say that about every tour, you want to have a good one. So I didn’t set a target in terms of runs, but I did definitely set out to enjoy the experience. I’ve always enjoyed touring the West Indies, I’ve enjoyed coming here and I wanted to enjoy the whole experience again. And whether I scored runs or not, I try to do the things even off the field that over the years I’ve enjoyed doing in these countries. That doesn’t mean runs are guaranteed. I did the same things in 2007 and didn’t have such a great tour as a batsman. I’ve probably come in here with a bit of confidence after the West Indies and I maybe I’ve taken that forward into this series. Hard for me to say what my strengths are… there are the obvious ones… I think I’ve had a good temperament right from when I was young. I’ve always had a desire to learn and get better… I tend to keep pushing myself and I can sometimes be quite hard on myself. Sometimes I need to watch myself on that. But in some ways it’s helped because I’ve kept pushing, looking to get better and kept improving. I think that’s really important in international cricket. If you want to keep doing well over long periods of time you’ve got to keep improving because you play amongst guys who are improving all the time, who are getting better all the time. I’ve enjoyed the process of trying to get better all the time. But in specific terms, I really don’t know. People talk about my concentration, ability to bat for long periods of time. Maybe that helps. But the fact is I enjoy batting, I enjoy my time at the crease, try and focus on each ball at a time, enjoy that whole experience and the process and then refocus. I don’t know whether that’s a strength or not but it’s something that I’ve always done. I really don’t know about the future. But it’s a game I love. I can’t see myself walking away completely from it. How much I’ll be involved I don’t know. I have a young family. I don’t think being away from them for long periods of time is something I’m going to enjoy. My kids are at that age when people say I shouldn’t miss being with them. But I’m enjoying my involvement with the Karnataka State Cricket Association too and passing on my ideas about the kind of tournaments we need to conduct. Whenever I can, I speak to Anil (Kumble), Srinath and others. I do follow Karnataka at the domestic and junior level. I have so much that I want to give back to the game. It’s vain of me to think that I can ever give back what this game has given me but I’d like to share my experience. I have some views on the way young players can develop and grow and my platform with the KSCA gives me that opportunity without being “involved involved” — if they want it. In golf there’s something called the `inner game’, because you are alone when playing the sport in the sense there is no rival in front of you, and you are essentially competing against yourself. Is your process internalised, or do you rely on something like simple video analysis, say getting video footage of fast bowlers etc in preparing for an innings or tour? I don’t think that video analysis helps too much. At the end of the day, like you said it’s really internal. When I have done well I’ve found that I’ve mentally really relaxed, in a good space. These are important things that I need to get in, what you’ve called the inner game. Getting the inner side of yourself right, not being too nervous, relaxed at the crease, learning how to deal with failure, learning how to bounce back, learning how to be emotionally ready for each and every day of Test cricket. There are lot of ups and downs in Test cricket and you need to be able to keep picking yourself up. It can get hard and when I have good tours I’m generally able to do that quite well. It doesn’t always work and there’s no process or formula to it. People ask why you aren’t like that all the time and sometimes you’re just not! It’s a confidence thing. Sometimes it doesn’t click. You try and do the same routines that in the past have got you that success or that state of mind and it doesn’t seem to work sometimes. It is a tough game sometimes. The important thing is when you’re doing well and when you’re scoring runs you’ve got to make it count. I think that’s really important. You’ve got to realise that you’re going to hit some rough periods in your career so when things work for you you’ve got to make it last as long as you can. Do you sometimes feel that you have not got enough accolades? Does that drive you to do better? I’ve never really worried about that. People keep telling me that maybe you don’t get the recognition you deserve, but I think I’ve got enough. In my own mind I’m very comfortable. I think I’ve got a hell of a lot of recognition. When I look around me and I look at the other cricketers of India who’ve also done well, the number of guys who play first class cricket for years, there can be no complaint. Outside of cricket, you look around and see so many guys who struggle day and day out and get nowhere near the reward for the effort they put in. Living in India you just see it every day, it’s in your face. There a lot more disadvantaged people than you and you can’t really be complaining about small things. I’m very comfortable and happy with what I’ve got. I think I’m recognised and rated for my work by colleagues and peers. A lot of nice things have been written about me in these 15 years and I’m very comfortable. The record’s nice. But I’ve played a long time as well and you know if you play so many years you’re going to put up numbers. The important thing for me is that I’ve been able to survive so long in Indian cricket. I’ve faced the challenges, I’ve faced the questions that have been asked of me, I’ve faced the hardships. I’ve gone through some tough times in my career. I’ve gone through some ups and downs, some really difficult periods as you know. But I’ve got through that, I’ve fought my way through. That’s what I’ve really enjoyed. Did it upset you that you were a key member of the One day team too and suddenly one day you’re out, missing even the World Cup in 2011? It’s hard to put a finger on this. I had a very tough year in 2008. I gave up the captaincy in 2007 thinking that I would get better in my cricket, my own performance would improve. But it didn’t seem to pan out well for me. It was hard especially after going through such a phase from 2000-2006 when I was scoring runs all the time. It was a tough period for me, I began to really doubt myself. And I couldn’t put a finger on what was going wrong. I kept trying different things. I tried to do the things which had brought me success in those early years. But it didn’t seem to work. Now when I look back, sometimes you just have to accept these things. Cricket teaches you that you cannot always be on top. There are going to be times when you have to learn how to face the difficulties. Overall I think that the difficult period made me a better person. I learnt that it’s all right to fail, it’s not the be all and end all of life. Sometimes things don’t go your way and you don’t have to always do really well. I learnt that life does move on and it has not come to an end if I didn’t score a 100 or got dropped from the Indian team. Now that you’ve been recalled to the One day side you’ve announced your retirement! You do want to play One day cricket, or is this forced on you? I wasn’t picked for One day cricket for about 24 months so I obviously never expected to be picked again. If I had announced my retirement when I wasn’t being picked people might have turned around and asked, ``Well, you’re announcing your retirement from what?’’ If you are not going to be picked in any case, what’s the point of retiring? I am appreciative of the confidence which the selectors have reposed in me but I also know that at this stage in my career – and knowing my body – I would rather do what I enjoy most. And I’m enjoying Test cricket a lot. This also gives me some time off to spend with my young family. I’m really enjoying that side of life. I know in the last year and a half I’ve enjoyed the time away from the game. I know it’s also good for my body at this stage. I’m not a spring chicken any more. I know if I keep playing constantly I am going to struggle with injuries. I’d rather play a little bit of cricket but play it well. In the short term I think this is great. It’s a vote of confidence and I hope to play well in the ODI series. But realistically speaking, Test cricket’s what I should be preparing for and keep my body and mind ready for. You’ve been at times wicket keeper, sometimes asked to open, in and out of the one-day team...have you ever felt cheesed off at being used like this simply because nobody else is willing to put his hand up? No I’m not. Sometimes people think I am being diplomatic when I say this, but honestly I have always loved being part of teams and doing everything. I’ve always loved team sports from the time I was a kid. I also played hockey in school. I did try some individual sports when I was a youngster but I always kept getting drawn back to team sports. When I kept in One day cricket at that time we didn’t have Dhoni, a batsman wicket keeper at that stage, and by my keeping we could play that extra bowler or batsman as the situation required. Obviously after the 2003 World Cup I struggled with the keeping. I genuinely felt at that stage that we needed to invest in a batsman-wicket keeper and Dhoni came a year later. I knew no one’s ever going to ask me to keep again when Dhoni’s around (laughs). I tried but it didn’t seem to work out. My performances as an opener were never good enough for me to and obviously once Veeru and Gauti have come in, that debate has been settled. It’s not that I’m against opening. It’s just that I didn’t perform well enough as an opener to justify my being there. I had captained for about two and a half years. It was draining period and I reached a point where I wasn’t enjoying the job. Yeah, but I felt if I’m not enjoying it and won’t be able to do a good job there’s no point doing something just for the sake of it. Captaincy was something I loved and I treasured. But I wanted to do it for the right reasons and knowing that I’m fully committed and enjoying that job. I don’t know, maybe it was our early knockout in the World Cup...I thought it was the best time at that time to walk away and try and do what I enjoy, which was batting. You’ve had this great surge of runs in the last year or so. Is this a second wind or has something changed? I went through a difficult 2007-2008. If you compare these years to my heydays – 2002-2006 -- my performances hadn’t measured up. In the last couple of years, though, I’ve had some good series’. But you’re probably right. I set a benchmark for myself that was really high and people expect that every time. Fair enough. I’ve set those standards and I’ve got to live up to them. But obviously in between I’ve had some tough periods, some low periods. And then at this age and this stage expectations are high because of the standards that I’ve set. Moreover, people don’t look at a bad series as just loss of form, they look at it as “the end”. And it’s natural, that’s life, that’s sport and we deal with it all the time. Whenever I padded up for this series, I knew that if I had a tough one people are going to raise the question of age and energy and so on. But that’s what you have to deal with in sport, that’s part of the journey, part of life. I have no qualms about that. I just get on with what I have to do, I still enjoy it. There’s a whole horde of youngsters coming along in Indian cricket, and at least playing within the country seem to be doing very well. Do you see this as a challenge or a threat? (laughs)...but players like Tendulkar, Laxman, Sehwag, Ganguly or myself weren’t made in a day. It takes time. You’ve got to give these guys experience. And probably to gain that experience, they’re going to take a bit of time. But I think in terms of talent and ball-striking ability, we’ve got it all. There’re some great groups of young kids. I’m excited about those guys coming through. I don’t see them as threats as such. I believe that if I do what I need to do, score runs and enjoy my game and keep my numbers on the board, I should be fine. I don’t really look down to see who’s coming behind me, to be honest. I’d rather look ahead than look behind and see what’s happening. One important thing surrendered in this series is India’s number one Test status. I’m sure like most players you covet Test cricket over all others. So how significant was this ranking in your scheme of things? Did it hurt losing it? I’m not a big rankings-rankings person. But I think being number one was a reflection of two or three years of very good, some fantastic cricket that we played. For me winning a series is the really important thing. Winning away from home, winning in England, Australia, in South Africa, winning anywhere is as special as being number one. Winning a tough series even more so, and obviously if you do well rankings sort of look after themselves. Everyone will agree that at this point in time there are three or four teams which are bunched together… there’s no clear number one like the West Indies in the 1980s or Australia of the late 1990s and early 2000s. I think it was great that we held our ranking for as long as we did. Because we played well for two or three years we deserved to be there. Were we far ahead of the pack? Obviously not. But no other side is. It’s all bunched up and each series among the top teams is going to be hotly contested. Well, it’s there. What we need to do is manage our schedules. All competitions are good but we need to manage how we’re going to get the best people playing for India and for Test cricket. It’s a lot of cricket. I think the advantage which England and Australia have in terms of managing their schedule is a set season. England never tours during their domestic season. Nor does Australia or very rarely. We in India don’t have that. That’s something we need to start pushing, we need to put aside some months in the year when we are not going to tour. If people want to come and play, they need to come and play on our terms. When I look at the way England and Australia manage their schedules, the fact that they have that home season makes it a lot easier for them. Since we don’t have that, we have to keep playing. ...that makes it difficult for our administrators to manage the season for us. With the amount of cricket people expect us to play, it’s not easy to be consistent. We have to slowly start demanding and expecting our own domestic season. I think that’s the way forward to ensure that we’re competitive in all forms of the game. I would love Indian cricket to prioritise Test cricket because I think that is the ultimate form of the game. Players still love playing it, there’s no doubt about it. If we can maintain the high standard of performance we’ve had over the last few years I think our respect across the world will be great. Because people will recognise that we have the opportunities to focus on One Day and 20-20 cricket but we are also ensuring that we don’t neglect Test cricket. I’m an introverted bloke, no doubt about it. I’m definitely not a brooder. I look at the positive side of things a lot. You can’t survive 20 years of cricket and 15 years of international first class cricket without being positive your game, being a positive person. I may not show that by jumping up and down and by laughing all the time. But I’m actually quite a positive person. I think I deal quite well with failure and I tend to look ahead. But you won’t enter a dance show on television? (laughs) I won’t do something like that and I admire the people who do. I think these guys must have great courage to do that. But I have a life outside cricket. I have other interests. I like reading. I like meeting people. I like going out, exploring different cultures and countries. I like good conversation. I’ve always been like this. Are you interested in the history of the game? I’ve read a fair bit of the history of the game. I enjoy history generally too. I wouldn’t say I’m an expert, I wouldn’t win a quiz, but I know my sport and other subjects. I enjoy knowledge and picking up things whether in cricket or some other sport. I find that relaxing. People ask me why I like to read and I say cricket is quite a stressful occupation and you need something to take your mind away from it. Some people watch movies or TV, for me it is reading. I don’t read to suddenly become more intelligent! I read I enjoy it, that’s all. How much does money or material well-being mean to you? That’s a deep question (laughs). Obviously money’s given me a lot of comforts and is important in a way but I know it’s not the be all and end all of life. There’s only so much money you can have. My achievements for the Indian team, my experiences, the job satisfaction I’ve got playing cricket means more to me than money could ever do. But I do recognise that money is important for you and your family to have a certain quality of life. There is a criticism that there’s so much money in Indian cricket that a lot of players are become soft and not achieving or actualising their potential. Do you think that’s a threat? I think people have to learn to cope with it. Fact is this is a new development. It took me 10 years of playing international cricket to think that I would be comfortable in life. The earlier generation took maybe 20 years. Luckily for us, cricket is sport where there’s more money coming in so it’s become easier for the next generation which follows us to get the kind of money which will make them feel comfortable at a younger age. It is a new phenomenon because of the IPL and people have to learn to cope. To attribute failure (or success) to just money is to be simplistic. In every generation there are those who achieve their potential and those who fail, whether there was money or not. That’s sport and that’s life. But I agree this is something youngsters need to be aware of. I think it’s a good thing that people are making the kind of money they are today; it’s great for them and their families. But there are challenges that come with it, both on the field and off the field. People who cope with it better will have longer and more successful careers, people who don’t will fall by the wayside. Do the opinions of your peer group, former players matter to you? Do you get hurt or flattered easily? I don’t get hurt or flattered easily. I have that balance. But I wouldn’t say that I’ve never got hurt or flattered. Over the years I’ve learnt to keep that balance. I do recognise by playing professional sport I’m opening myself to criticism and for people to comment and pass opinions. I’m making that choice and while I’m making that choice and how I deal with it is up to me. At some stages I find that some criticism does help me and sometimes people are way off the mark. As far as possible, I try not to react. If you don’t want to deal with it, walk away and do something else. Do you have any unfulfilled ambitions at 38? Is there a Rahul Dravid grand vision that is unfulfilled? The vision is to keep playing as long as I’m enjoying it and contributing. I’ve learnt from Sachin a lot in that. The way he’s played in the last few years has been phenomenal. The fact that he’s focused on the present and doesn’t think too much about the future and what’s going to happen or he doesn’t talk about or discuss it, is a way that works well. So I’ve tried to stick to that. There’s no internal friendly rivalry between the two of you...let’s see who can score more runs in this series kind of stuff? (laughs) Not really. I think we have huge amounts of respect for each other. I’ve been privileged to have played in an era that has Tendulkar, Laxman, Ganguly and Sehwag. It’s going to be regarded as some of the great batting line ups of the game. To be part of that line up for so long gives me great joy. There’s a huge amount of respect for all these guys and what they’ve achieved and there are friendships. But I don’t really go around trying to compete with or compare myself to these guys. Better we compete with the opposition (laughs). 'legend substance'. hope he still has a lot left in him towards test cricket. and after that, remove all those dirty politicians from bcci and be there on top to decide things. if that happens, the world will start respecting bcci not for money power but for its brain power too! Rahul still have a long career in the world of cricket. True legend and the greatest technical batsman ever played. No other cricketer can match technical part he has! He has a lot left in him, his attitude towards cricket brings him sheer pleasure. As long as that mindset stays ignited, I believe he's only going to get better. Great person, much like the way I imagined his persona. Introverted, patient and focused.